Each Rylo includes a 16GB SD card that captures 21 to 34 minutes of continuous video recording or about 5000 total photos. Total photos and recording capacity depends on the selected bit-rate (image quality) that you select within Rylo's settings and whether or not you have other content present on your SD card. 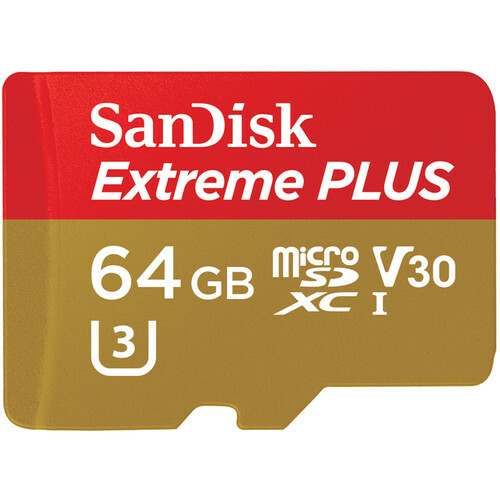 We recommend that you purchase a compatible SD card seen below, obtained from an official reseller. For best results, you should regularly reformat your SD card. Steps to reformat your SD card can be found here. Important Note: Support for compatible A2 cards, listed below, was provided in firmware version 1.1.621. If your Rylo is running a firmware version older than 1.1.621, A2 cards will not work. Please update your camera with the included 16GB SD card or a non-A2 card listed below in order to safely update your camera. Once updated to 1.1.621 or later, your A2 card will be fully supported with your Rylo! How many videos can I store on Rylo?